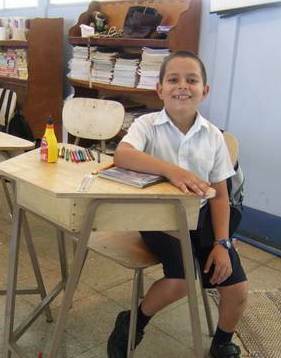 The SCLC is partnering with Give-A-Book Foundation and Rotary Clubs to receive donations of high quality educational books in Spanish and English for schools and libraries in Sarapiquí, Costa Rica. The original dream of the founder of the SCLC, Giovanna Holbrook, was to open a public library for the communities in Sarapiquí, because there was none in the area. For almost two decades, SCLC has managed a small bilingual library with magazines, encyclopedias, dictionaries, novels, and educational books for the use of any local or foreign visitor to the SCLC. Thanks with the help of Carl Dickerson and Give-A-Book Foundation, the SCLC will be able to add more books to its library as well as distribute books to public elementary schools throughout the Sarapiquí County. The SCLC works closely with 7 target communities. Within these 7 communities there are 6 public elementary schools that would receive books: Escuela Chilamate, Escuela Kay Rica, Escuela Linda Vista, Escuela Cristo Rey, Escuela Calle La Lucha, Escuela Bajos de Chilamate. These schools vary in sizes from 30 students to over 100 students in rural communities in the region of Chilamate. Most of these schools do not have many education reference books or computers. The SCLC and Give-A-Book would like to be able to provide books to more elementary schools in the county working with other organizations in the region, private entities, and the regional office of the Ministry of Public Education. The project is based on a partnership between Rotary Clubs in the United States together with Rotary Clubs in Costa Rica with Give-A-Book to donate quality Spanish and English books for School and community libraries in Costa Rica. Rotary invests $2000 per school in wholesale value, which means $6000 in retail value in donated books. Give-A-Book donates three times the retail value of the donation in books working with publishing companies in the United States, and ships them to Costa Rica. Donations and sponsorship of schools from other Foundations, Civic Groups, Business and interested persons who would like to help provide quality new books to schools and community libraries are welcomed to expand the project. Plus, donors are invited to participate in the distribution of the books to the schools. If you are interested in helping make this project a reality for more children in Sarapiquí please contact, Maren Barbee, SCLC Director. The SCLC is a registered nonprofit organization in the US with 501c3 status, so all donations from the US are tax deductible. Options for making donations are checks written to Sarapiquí Conservation Learning Center, cash, or the paypal option. Our goal is to raise $3000 in the next four months. To use our paypal option please click on Donation Now!